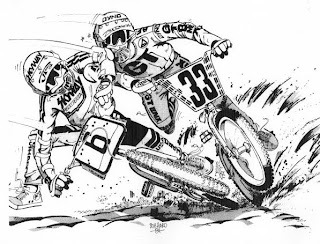 BCM: A Bit More Haro History. Over the years I've had the opportunity to hob knob with many celebrities and or musicians & I can honestly say the only time I was purely star struck was when I met Bob Haro. Today I'm happy to call Bob a friend. Here's a bit of my childhood inspiration. "Shown here is my original hand made BMX number plate - hand-cut from a 4x8 sheet of LDPE plastic most likely in my parents living room while watching the 6 Million Dollar Man. Back then each plate was hand-cut, drilled, riveted, decaled then heated over mom's stove then bent to a handle bar jig. Can you say "low tech"? 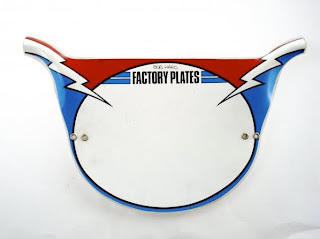 Note they were called Factory Plates NOT Haro back then - this was the true original BMX plate. 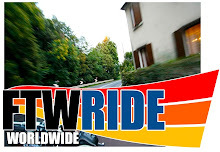 If you find one on Ebay snag-it - I'm sure it's worth some loot to some OS BMXer!" Yeah! That's sweet! I used to race at black mountain here in phoenix. Miss the old days. I found a old shop here goin' under and picked up a bunch of old pro plus bmx helmets. Got 2 for sale on chop cult for sale, if your interested. Seeing this brought a little tear,I remember being so happy getting one after mowing yards,I bought a brake too.